fifteenminutes is passionate about reputation and the power it has to make or break your personal or business success. ​Inspired by Andy Warhol's prolific quote, "in the future, everybody will be world famous for fifteen minutes", the business works with companies and individuals to provide sound and effective strategies for making the most of their success and protecting the hard-earned reputation they have created. Founded by Fiona Fenwick following an extensive global corporate career in communications and public relations, fifteenminutes draws from over 30 years of sharp-end experience in protecting and developing organisations and individuals through sound communications strategies, effective implementation and successful management. How you manage your brand and reputation both as an individual and an organisation makes a significant difference to how successful you will be in growing your career or business and achieving the influence that results from this. fifteenminutes also delivers engaging personal brand and reputation management workshops and inspiring keynote talks as well as personal brand and reputation management coaching for those serious in making the most of their career. Just fill out this simple form and I will send you the first two chapters absolutely free. *Don't worry, your details are safe with me and I will only contact you with relevant content and will never share your details. Making these work for you is the difference between success, mediocrity and failure. How well do you manage your personal brand? Who knows what you do and would seek you out? Can you easily sway others' opinions to yours? 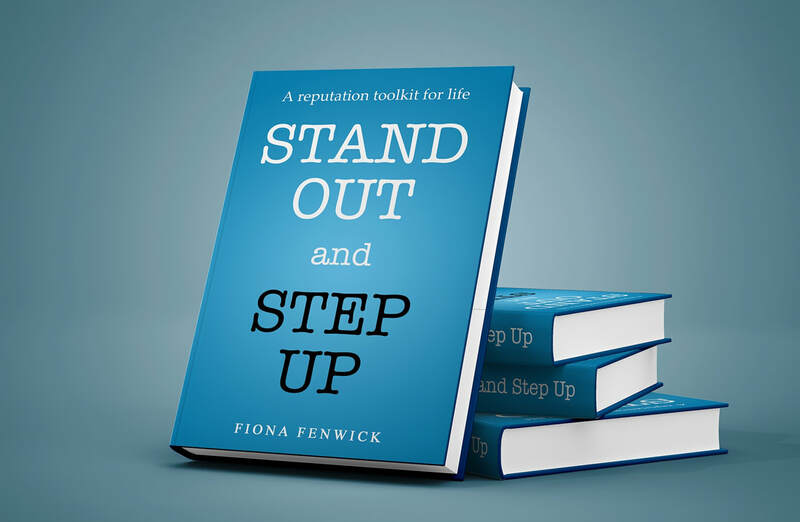 ​Fiona and fifteenminutes can work with you, your organisation and your teams to help you get the most out of your 'fifteen minutes', while Fiona's book, 'Stand Out and Step Up' provides a practical and easy to read toolkit with 18 exercises that challenge you and your thinking regardless of age or stage of career.